The stunningly popular target-date mutual fund is getting a facelift that promises to cement it as the premier one-stop retirement plan. By adding an automatic lifetime income component, these funds may now take you from cradle to grave. 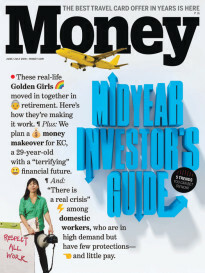 Last month the federal government blessed new guidelines, on the heels of initial guidance last summer, which together allow savers to seamlessly convert 401(k) assets into guaranteed lifetime income. Specifically, the IRS and the Treasury Department will allow target-date mutual funds in 401(k) plans to invest in immediate or deferred fixed annuities. Plan sponsors can choose to make these target-date funds the default option, meaning workers would have to opt out if they preferred other investments. Target-date funds are widely considered one of the most innovative investment products of the past 20 years. They automatically shift to a more conservative asset allocation as you age, starting with around 90% stocks when you are young and moving to around 50% stocks at age 65. By simplifying diversification and asset allocation, target-date funds have become 401(k) stalwarts. They have broad appeal and are a big factor in the rising participation rate of workers, and of younger workers in particular. Nearly half of all 401(k) contributions go into target-date funds, a figure that will hit 63% by 2018, Cerulli Associates projects. By then, Vanguard estimates that 58% of its plan participants and 80% of new plan entrants will be entirely in target-date funds. In all, these funds hold about $1 trillion. The annuity feature stands to make them even more popular by closing an important loop in the retirement equation. Now, at age 65 or so, a worker may retire with a portion of their 401(k) automatically positioned to kick off monthly income with no threat of running out of money. In simple terms, a target-date fund that has moved from stocks to bonds as you near retirement may now move from bonds to fixed annuities at retirement, easing concerns about outliving your money and being able to meet fixed expenses. 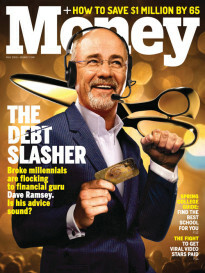 Policymakers have been working towards this kind of solution for the past several years, but have hit a variety of stumbling blocks, including tax and eligibility issues and others having to do with a plan sponsor’s liability for any guarantees or promises it makes through its 401(k) investment options. There are still implementation problems to be worked out, so few plans are likely to add annuities right away. But the new federal guidelines clarify the rules for employers and pave the way for broader acceptance of both immediate and deferred fixed annuities in 401(k) plans. And a guaranteed lifetime income stream is something that workers are clearly looking for in retirement. How should I invest in my 401(k)? What if I need my 401(k) money before I retire?